Monsters exist in this world. They walk among us, and they sometimes hurt us and those we love. On September 18, 1966, twenty-one-year-old Valerie Jeanne Percy was brutally murdered in her bed in Kenilworth, Illinois. She was the daughter of Charles Percy, who was then the Republican party’s nominee for the upcoming US Senate race in Illinois, the election barely seven weeks away. The questions of who committed the murder and why were never resolved and the case remains open to this day. 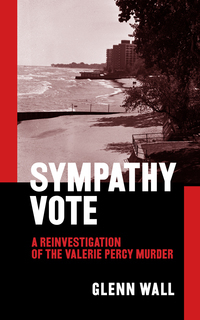 A new book looks once again at the murder and the investigation that followed: Sympathy Vote: A Reinvestigation of the Valerie Percy Murder by Glenn Wall. The Percys lived a little over a mile from my own home in Wilmette, Illinois. For four years I passed by their place daily on my way to New Trier High School. 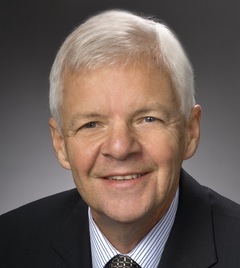 I first heard of Chuck Percy from my eighth grade homeroom teacher at Howard School in Wilmette, sometime during the 1956–57 school year. Students in in North Shore communities are deluged with assurances from their teachers and parents that they are privileged participants in the best school system in the country, one that has produced countless personages of note. (“Yeah, yeah, yeah,” say the skeptics and those who are tired of hearing about it and of undeniable Chicago North Shore snobbery.) One day in class Miss Chase told us with notable pride about this one particular man who had come through the system in Wilmette that locals were especially proud of. Already the multimillionaire president of Bell and Howell, and a resident of his home in Kenilworth since 1952, Percy had political aspirations and was considered the sort of person who might even aspire to the presidency of the United States. The murder of Percy’s beloved daughter changed much for the very close family. Despite it, Percy was elected to the US Senate — three times — but passed on the presidency when Gerald Ford opted to run (though he’d assured Chuck Percy he wouldn’t), and was defeated in his fourth bid for the senate. But forever after the whole Percy family remained haunted by fears and grief. I first heard of the murder when I picked up a newspaper later on the day it happened. Because it took place at about 5:00 a.m., it was too late to make the morning editions, but it didn’t take long to hit radio and television. Like most people, I was rightly horrified by the news, and curious, knowing it had happened uncomfortably close to my own home — in peaceful Kenilworth, of all places! Valerie Percy had a twin sister, Sharon, also an extremely capable young woman, who soon married Jay Rockefeller, who in turn became first the governor and currently a senator from West Virginia. The girls were one class year behind me at New Trier. They graduated in 1962; I was in the class of 1961. Although I knew students not in my class because of my music activities, I didn’t know either of the Percy sisters. But Valerie’s picture is in my 1961 Echoes yearbook. Sharon’s is not. I don’t know why. I’ve confirmed that they did both go to school there. Their younger brother went elsewhere. A high school, even a big one like New Trier, is small enough that surely we crossed paths on occasion, perhaps even regularly. After I had focused for a short period on the story as covered in the news media, including an investigation that led nowhere, my interest in hearing about the case lapsed, and although I never forgot about it, I didn’t think about it either. Fast forward fifty years. Life went on for all of us, and now here we are at the end of 2013. Since I now edit books for money, I can claim that I more or less read for a living. But I read far more than just the books I’m forced to read because I have to edit them. I’m kind of a readaholic. And I’ve observed that the trail that leads my personal reading interests is often driven by a sense of closeness to what I read. And so it was that a chain of circumstances led me to read Sympathy Vote. My wife and I often discuss books we read together. Last summer, knowing I had recently read a couple of memoirs about personal and political turmoil in Africa, Suzy told me about the new memoir by Amanda Lindhout then making the rounds, A House in the Sky, a wonderful but terrifying book in which the author, a world traveler and self-taught journalist, describes her 460-day captivity that included physical, mental, and sexual abuse at the hands of Islamic fundamentalists in Somalia. The story left me with an enormous sense of righteous indignation over the atrocities that poor woman suffered, and with great respect for her corageous, strong survival. Today Amanda Lindhout is touring as a speaker and engaged in humanitarian activities. Soon afterward, Elizabeth Smart was interviewed by Terry Gross on NPR’s Fresh Air. Elizabeth was kidnapped from her bed at age fourteen, with her younger sister sleeping beside her and her other four siblings and parents also asleep in the house. She was carried off and for nine months was subjected to every manner of personal and sexual abuse and humiliation imaginable by a raving lunatic, whose name should perish forever. The story of the search for Elizabeth and her return to safety nine months later made headline news for a long time. It’s now ten years after her kidnapping, and Elizabeth Smart has also written a recent book about her ordeal, simply titled My Story. I was drawn to read it, first of all because I had recently read Amanda Lindhout’s book, and was sympathetic in heart and outraged over what had happened to her. (I didn’t follow Elizabeth’s story at all when it happened, because I don’t as a rule follow sensational crime stories.) More poignantly, I was enormously impressed by Elizabeth’s calmness, intelligence, articulateness, and enormous dignity. Today she is a mature and happily married woman, and founder, president, and chief spokesperson of the foundation that bears her name, which works to prevent crimes against children. So I read her book, too. It’s impossible to use the word enjoyed in connection with this book, because it’s a true horror story. But it’s fair to say I was enriched by it, as I learned how strong the human spirit can be, even that of a little girl, in overcoming adversity and bouncing back from it strong and happy. It was reading about how Elizabeth Smart was taken from her bed by a home invader that reminded me of similar circumstances in the murder of Valerie Percy so very long ago. I related the parallels to Suzy according to my memory of them, and later confirmed that my recollections of the basic facts of the case were accurate, except that I’d pictured the Percy home as being a block or two down the street from the actual site. Next, by coincidence I happened to see a reference to Valerie Percy’s murder pop up in a Facebook page I subscribe to, where the new book about the murder was mentioned. That in itself was not enough to pique my interest sufficiently to read it, though it got my attention, since I’d recently been thinking about it and had recounted what I remembered to my wife. Finally, I learned to my great surprise that the book’s author, Glenn Wall, lived next door to my parents in Wilmette, Illinois at the time of the murder. It was still “home” to me then, too, though by that time I was just starting graduate school at University of Illinois, and considered Urbana “home”, too, since by then I lived there year round. Glenn was just a little kid in those years, and though I knew the previous neighbors quite well, I never met the Walls. But my parents and two youngest brothers would still live there for several more years. Furthermore, he told me that another neighbor, Georgia Dearborn, whose family lived on the other side of the Walls, and a friend of our family’s as well, had been a close personal friend of the Percys through their church. I did not know about that friendship. (Chuck Percy and his family, but not his wife, and the whole Dearborn family were Christian scientists who all went to the church less than four blocks down the street.) Mrs. Dearborn had been Glenn’s first source of information when he began researching the book. Those combined coincidences were enough to move me to contact the author, buy the book, and read it. The basic facts of the murder, which has long been a part of the public record, are these. At just before 5:00 a.m. on Sunday, September 18, 1966, a male intruder broke into the Percys’ house, likely cutting his way through the glass on the French doors on the ground floor. He made his way to Valerie’s bedroom, and for whatever reason, began the beating and stabbing that quickly resulted in the death of Valerie Percy. Loraine Percy, Valerie’s stepmother (the girls’ natural mother had died when they were quite young), was awakened by the noise in the house, rushed to Valerie’s bedroom, and saw the intruder, but not well enough to see his face. He made a break for it, escaping likely through the same door he entered, fleeing along the beachfront, leaving behind a pile of evidence. Moments later, Valerie Jeanne Percy died in Loraine Percy’s arms. Kenilworth is a tiny and exclusive town of mostly wealthy residents, sandwiched between Wilmette and Winnetka on Lake Michigan’s North Shore. There had never been a murder reported there, and very little trouble of any other kind, mostly burglaries by outsiders, the occasional domestic dispute, and traffic violations. The small police force was not large enough or adequately equipped to handle the investigation of what instantly became the biggest crime story in the nation. Help was enslisted from nearby communities (notably from Winnetka and Wilmette), then from Chicago, and finally from the Illinois state police, who took over and organized the investigation. If I read Glenn Wall’s accounting of the buildup correctly, the question of jurisdiction commendably didn’t become a contentious issue, or at least it didn’t become so publicly, even though everyone involved no doubt wanted to be able to take some credit for catching the bad guy. But clearly the Kenilworth police needed help. Need I mention that if it had been the murder of a poor person on Chicago’s south side, the response would have been much different? As it was, the victim was the cherished daughter of a wealthy businessman running for the US Senate, by all accounts I have read a most honorable and personally popular man, and a cut above many other politicians. No doubt it made a difference. In all, hundreds of people became involved in the investigation. Yet, with all that investigative clout, after months of searching, nothing was turned up that led to even one viable suspect. It wasn’t like they had cornered one or two possibilities but just couldn’t pin anything on them. They had mountains of data, pursued thousands of leads, interviewed something like a thousand people, and in the end they had nothing. Nada. Zip. Rather than simply regurgitating to no purpose facts that have been known for decades, Glenn Wall has sought to reintroduce some facts that were previously given little attention, along with some strong lines of reasoning, to build a case that argues in favor of one person as the most likely perptrator of the murder. Though I don’t claim to have any more knowledge about the data than is in this book, I must confess that the case Wall presents is more than a little convincing — so much so that readers will wonder how it ever got overlooked before. It’s not possible for me to go any further with this review without including spoiler type information. Understandably, the author wants you to read the book, and to get the facts in a systematic way that he worked for years to research and put in order. If you do, you will be amazed by the mountain of facts presented, and will be able to draw your own conclusions. For my part, I’m convinced that Glenn Wall is onto something here; I hope that after all these years the attention of persons in a position to act on it will be roused, and that in due time a correct and just conclusion can be drawn that might settle the questions that are still open beyond reasonable doubt, and in a way that satisfies the surviving family members. This entry was posted in Re: Views. Bookmark the permalink.